I have not been painting anything the last half year or so, as my left elbow and lower arm have not been working properly, ligament problems leaving me unable to hold anything small still for any length of time, or at all. 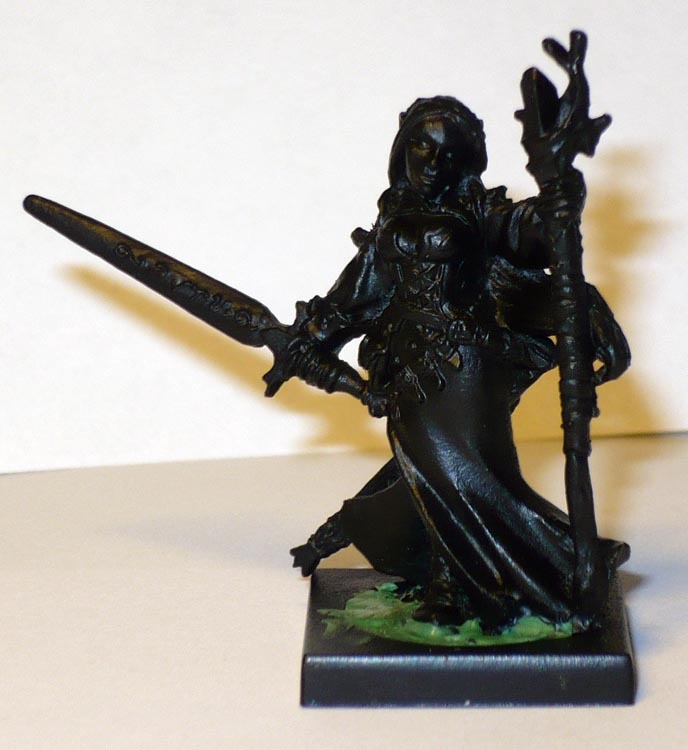 But it is getting better, and I have been getting a lot of prepwork done on of alot of the masses and masses of minis that have arrived, fulfilling the last years kickstarters. The Kings of War and Reaper Bones has been delivered and are now complete, and the third and last Dreadball shipment is probably in the mail, leaving me with more minis than space to put them. And several more are on their way…and the Bones are doing a second kickstarter at the moment…uh oh. 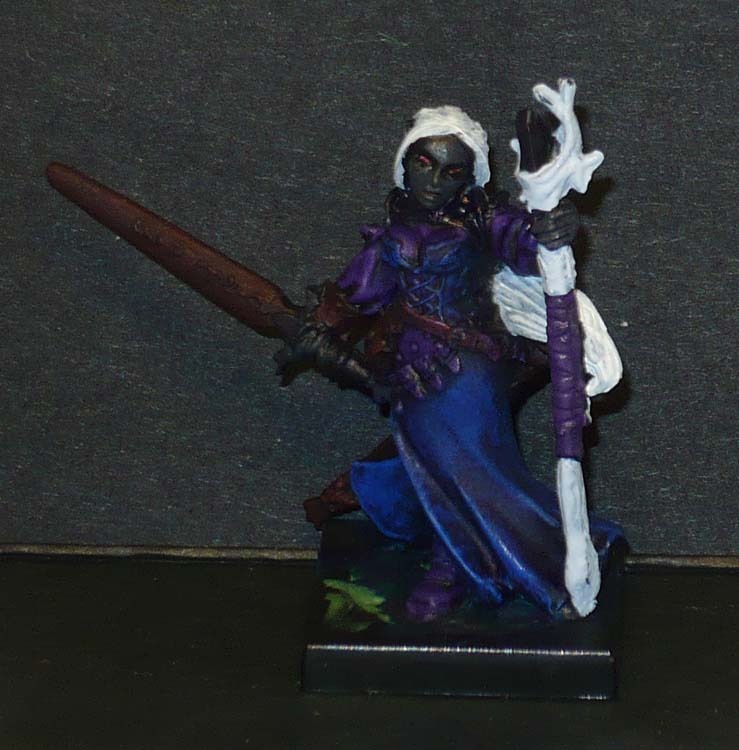 At any rate, I am trying to get back in to it now, and have chosen the “Reaper Beauty Pageant 2013” forum competition as a suitable target to actually get something done. I seem to need a deadline these days, or it gets put off. You see where this is headed. Black undercoat, mantic base. I like mantic bases better than citadel ones these days. The Bones’ integral bases are quite easy to trim down to fit the hole, fill with a spot of green stuff and away we go! 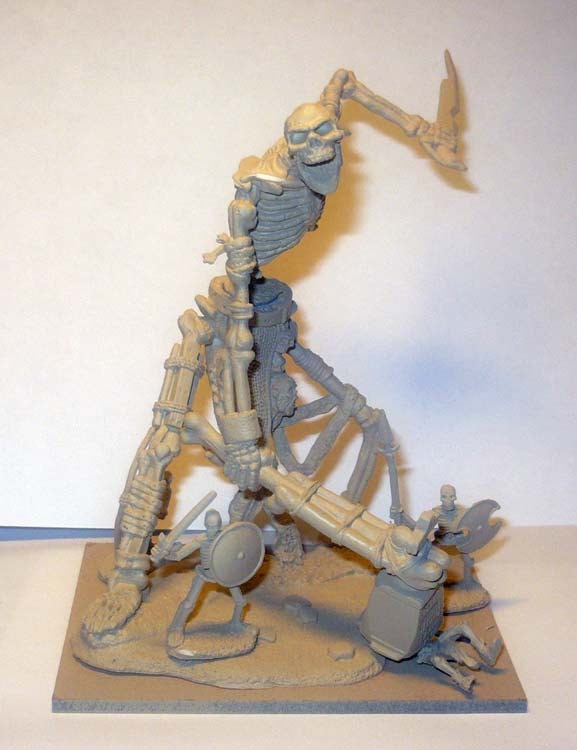 I am at something of an impasse about basing the Bones. Traditionally I have based most everything to fit with Warhammer. However…Why on Earth have I been doing that? There are lots more base options available these days. Such as the “lipped” bases (left). I find I really like those bases too, even more than the round beveled of yesteryear. 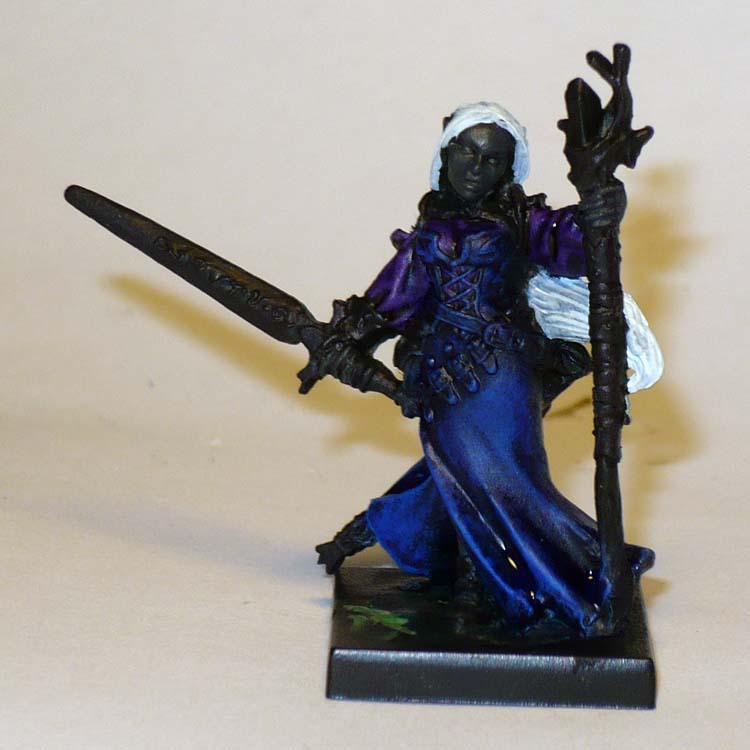 And lovely sculpted bases in resin are readily available. I am not sure the square bases are as nice. I think I like round bases better in general. And these days you get something newfangled called “movement trays”…and many of these can be ordered with precut holes or slots to fit whatever size or shape base I might like to have. So any shape can actually fit Warhammer or whatever. I dont really get to play any more. At all. So why even bother following that paradigm? Or any at all? So, maybe taking a more individual approach, basing each model on whim more than any special uniformity is the right way forward. What do you think about this? Any thoughts are appreciated. PreviousGnoll MacDonald raids your farm, E-I-E-I-O!